Vatican City (AsiaNews) - The Holy See is working assiduously to guarantee a future for Christians in the Middle East who risk disappearing and asks that the international community commit itself to allow the return of refugees and guarantee their future. This is what Pope Francis said today receiving the participants at the sixth working meeting on the crisis in Syria and in the neighboring countries, 150 people, organized this week by the Vatican Dicastery for Integral Human Development Service, with the involvement of the Migrant and Refugees Section, in collaboration with the Secretariat of State and the Congregation for Oriental Churches. Representatives of local Churches, apostolic nuncios, delegates of Catholic institutes and over 50 charitable organizations attended. 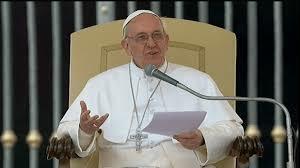 Francis said that we cannot forget the "many needs" of the victims of the crisis in Iraq, Syria and neighboring countries, instead he said we need to overcome the "logic of interests", putting ourselves "at the service of peace" and "ending the war". He said "we cannot turn a blind eye to the causes that have forced millions of people to leave their land in pain. At the same time I encourage all the actors involved and the international community to renew their commitment to the safe return of displaced persons to their homes. Ensuring their protection and their future is a duty of civility. It is only by drying the tears of children who have seen nothing but rubble, death and destruction that the world will rediscover its dignity ". The Pope expressed his appreciation for the "great efforts for refugees" made by the countries of the region and by international organizations and together with Cardinal Peter Turkson, president of the Vatican Dicastery, he thanked Filippo Grandi, the UN High Commissioner for Refugees. "Every day - he said - in prayer, I bring before the Lord the sufferings and the needs of the Churches and of the peoples of those beloved lands, as well as those who are doing their best to help them. And this is true: every day! ". 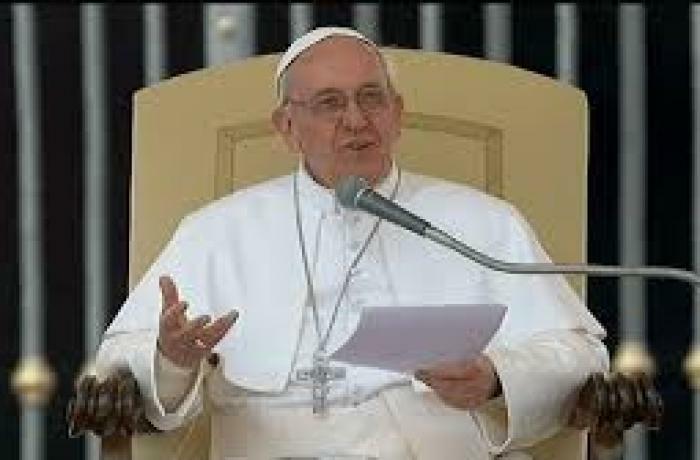 The Pope added that with the ongoing survey on the humanitarian aid of ecclesial entities, the third of this type, aims to make "an important contribution to better understand the needs and better coordinate the aid" in favor of these populations. "There is a risk - he warned - that the Christian presence will be erased from those very lands from which the light of the Gospel has spread throughout the world. In collaboration with the sister Churches, the Holy See assiduously works to guarantee a future for these Christian communities. The whole Church looks to these our brothers and sisters in the faith and encourages them with closeness in prayer and concrete charity not to resign themselves to the darkness of violence and to keep the lamp of hope burning ". Precisely the "witness of love" with which the Church listens and responds to the "cry for help of all, starting with the weakest and poorest", is "a luminous sign for the present and a seed of hope that will sprout in the future" . This is a stoutly Christian work which recalls the so-called Simple Prayer attributed to St. Francis of Assisi: in the face of hatred, love is brought to bear, in the face of despair there is hope, joy prevails over sadness. Among the "praiseworthy" initiatives promoted as part of the Church's response to the current crises, the Pontiff cites "the great work to support the return of Christian communities in the Nineveh plain" in Iraq and the health care provided to so many poor people in Syria, " in particular through the Open Hospitals project "strongly desired by the apostolic nuncio to Damascus, Cardinal Mario Zenari. Therefore, the wish is to be "instruments of peace and light". "Dear brothers, together, with the grace of God, let us look to the future. I encourage you, working in the name of the Church, to continue to take care of the education of children, of the work of young people, of closeness to the elderly, of the treatment of psychological wounds; without forgetting those of hearts, which the Church is called to soothe: 'Where there is offence, that I bring forgiveness. Where there is discord, union".